When you think of Scotland, it is likely that you image the glorious cities of Glasgow and Edinburgh, the warm tones of a clipped Scottish accent and the naughty-but-nice taste of a deep fried Mars bar. Though you could definitely find all of these things here, there are also plenty of secrets to be discovered north of the border. If you are willing to go a short way beyond the familiar, Scotland has all sorts of magical places you’d never heard of before. Here are some of our favourites. 17th Century Edinburgh was a tough place to live, with people crammed into 7 story tenements, no sewers and rats everywhere. But when the plague arrived, carried by the fleas hitching a ride on the rats, death filled the air. Remarkably, the people of Mary King’s Close quarantined themselves to stop the spread of the infection. They hung white flags outside their homes to show where the plague was so that food could be left of their doorsteps and the bird-masked doctor could attend their needs. Now the site has been rediscovered (thanks to a very surprised workman! ), you can visit the remarkably well-preserved Mary King’s Close to see how the people lived and died. And, if you are really lucky, you might get a sighting of one of their famous ghosts, a little girl who many people leave toys and sweets for. 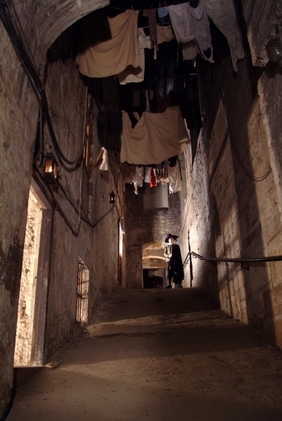 Just a few minutes’ walk away from Jurys Inn Edinburgh, Mary King’s Close is an amazing glimpse into the past. 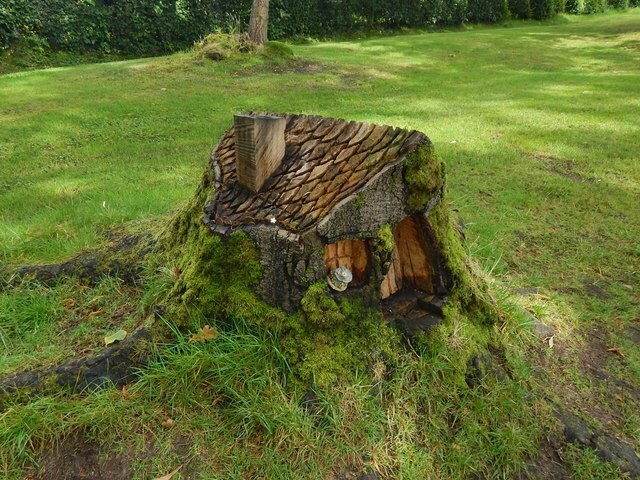 The fairy trail leads you around the gardens and woods surrounding the great house. Though the local tree surgeon, Partick Muir, suggests that the carvings are of his design, we suspect that fairies are the more likely culprits. Just 45 minutes north of Jurys Inn Glasgow and at the southern tip of the spectacular National Park, your kids will love exploring these gardens and might even spot a fairy hiding in the leaves. 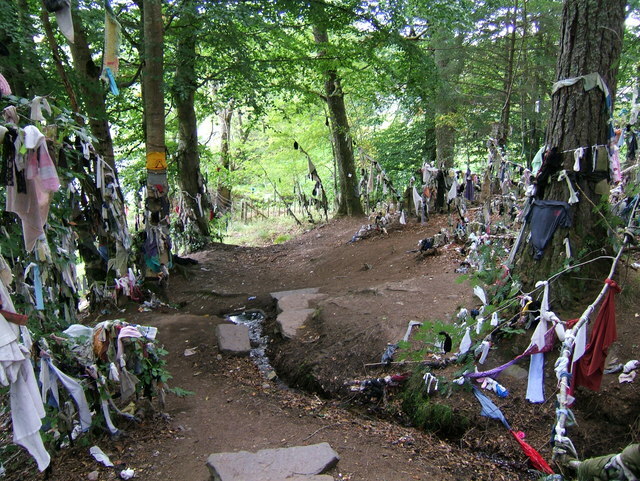 Though you can find clootie wells around the UK, this one is certainly amongst the most popular, especially around the Gaelic festival days of Imbolc (1 February), Beltane (1 May), Lughnasadh (1 August) and Samhain (1 November). The idea is that you dip a rag or a ribbon into the well and tie it to a branch in one of the surrounding trees. By the time the rag has disintegrated, your ailment will have gone. Though the medicinal approach is rather difficult to get onboard with in the age of antibiotics, the ritual has lasted into 21st century spirituality and is still a wondrous sight to behold. Even if you aren’t sure about the healing powers of a goddess living in a well, it is still worth the short 15-minute drive from Jurys Inn Inverness to see the beauty of the offerings fluttering in the wind. 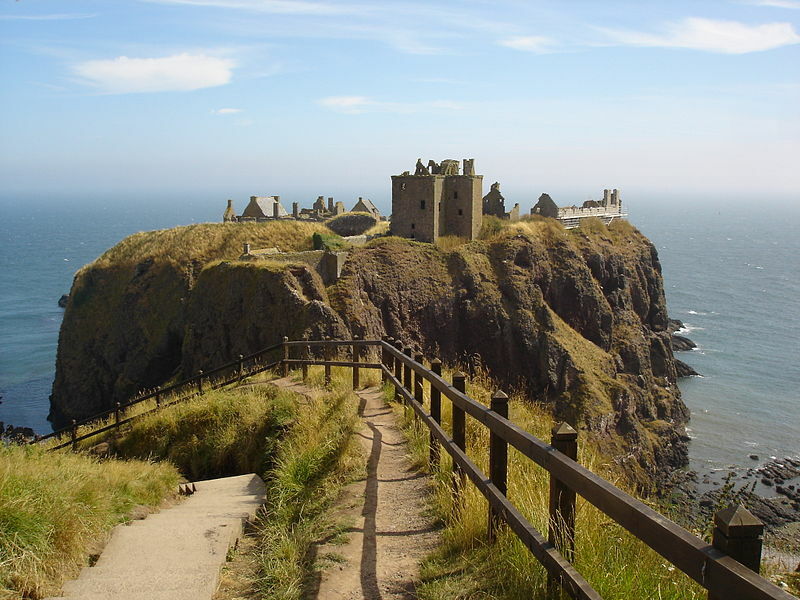 Looming on the clifftop like a castle lifted directly from the pages of a gothic novel, Dunnottar Castle, as it stands today, was mostly built between the 16-1700s. It is unknown how long the site has been occupied; it has certainly been around since the 5th Century when St. Ninian founded the chapel there, but is said to date back to the Pictish times and possibly all the way back to 5000 BC. The Picts believed that the site was home to the Green Lady, a goddess who embodied the strong, feminine landscape. When the chapel was being built, she apparently appeared in the brewery searching for her children. The ghost hasn’t been seen since but then, the brewery isn’t in use anymore either. Since it was built, the castle has been attacked by Vikings, hosted the likes of Mary Queen of Scots and her son, James VI, and served as a prison. And all of this history is just a 45-minute drive down the coast from Jurys Inn Aberdeen. With so many incredible places to visit in Scotland, it is hard not to believe in some of the myths and legends that persevere around these craggy cliff tops and dappled forests. Let the magic take you out of the 21st century for a day or two and transport you back to fascinating times.